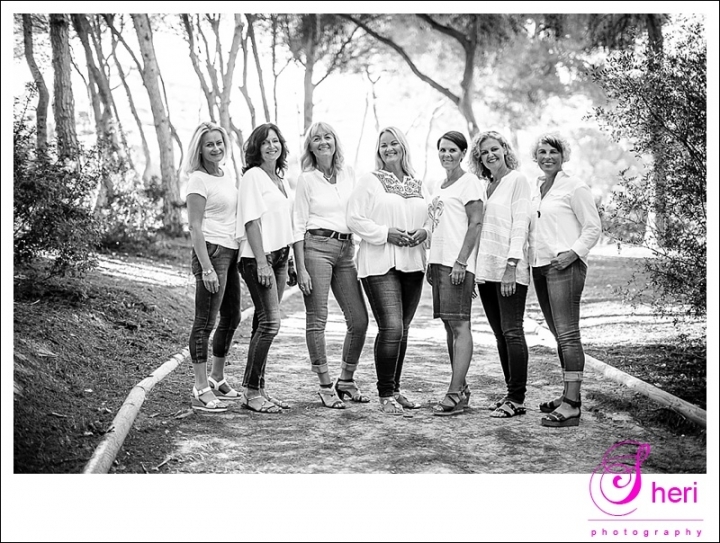 These seven ladies celebrated their friendship and birthdays with this holiday on the Costa Blanca. They have known each other since the age of 5 and have been friends ever since. They have never ever had their pictures taken together, some of them haven´t seen a photographer since the age of 3 or their wedding days years ago. We had a lot of fun on the beach and the woods during the shoot and I hope it shows.